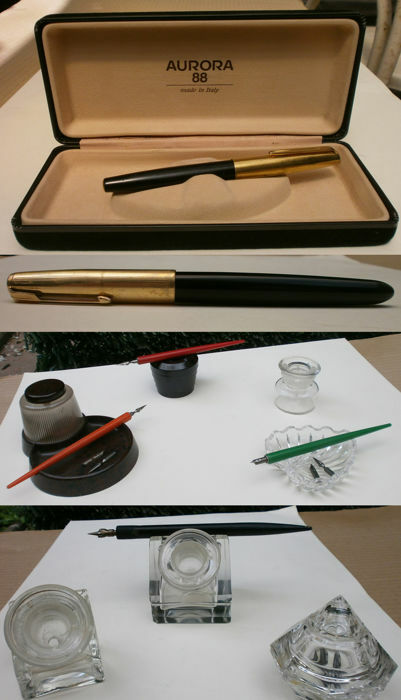 One ‘Parker 51’ pen from 1940, with engraved brand and gold filled 12 kt cap; one ‘Aurora 88’ pen with engraved brand and numbering, with ‘Aurora 585%’ nib, complete with original case. 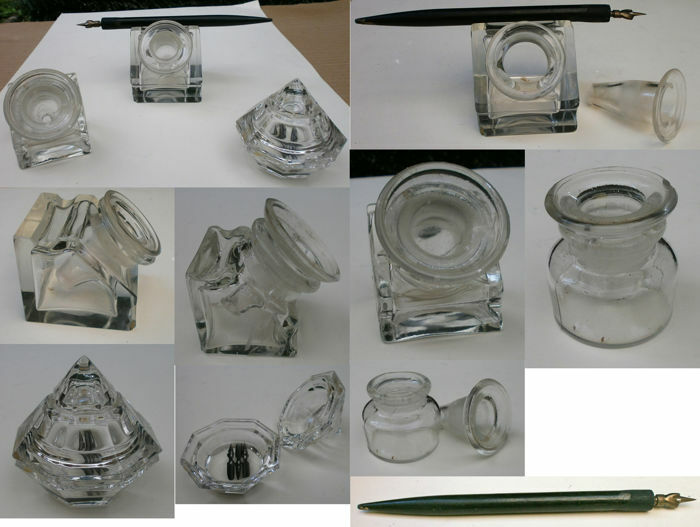 Two fine crystal inkwells with pen holder, early 1900s and brand, size 7x7x7 cm and 5x5x5; wooden pen with nib and octagonal nib holder made of fine crystal with lid. 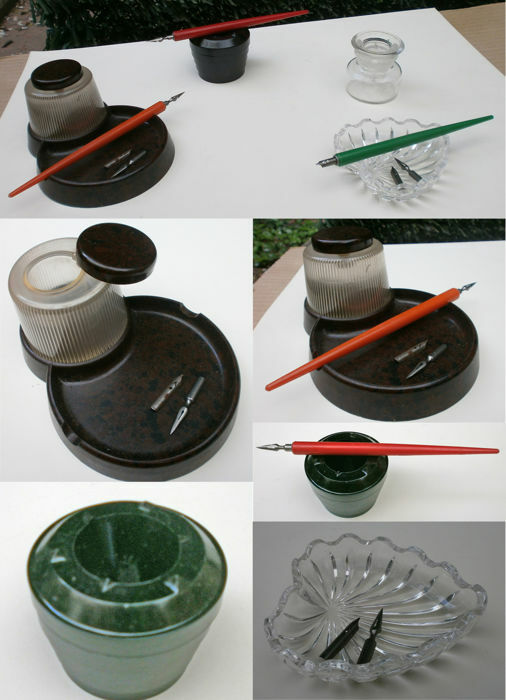 Bakelite inkwell with nib holder below and Bakelite arm, complete with nibs; Bakelite inkwell and arm complete with nib; crystal inkwell and nib holder complete with Bakelite arm and nibs. All preserved in good condition with some signs of age. Puedes recoger este lote en persona: Sant'Agata dei Goti (Bn), Italia.